Have you ever wondered how some guys you know have such an easy time gaining muscular strength? And they can do it in just a matter of weeks without endless reps, complicated exercises, hours in the gym, fancy equipment or dangerous drugs? If so I’d like to show you how. You’ll need to grab a pen and pad to take notes because these 4 Strength Building Mantras could be the difference between tapping into rock-solid strength or submitting to your genetic limitations. Making a habit of training to failure is not doing you any good. 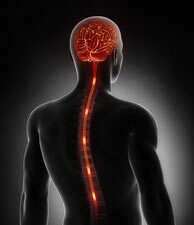 When you train, you are not only training the muscles but your central nervous system (CNS) as well. The problem with training to failure is that it is very hard on the CNS and really interferes with your recovery ability (and can even develop a nasty habit of missing lifts). Training to failure needs to be avoided if you want to keep making progress and avoid burnout. You can train just short of failure and get really strong. True bar-bending strength transforms more than just your physical realm. Building the type of strength I’m talking about transforms your life. Yes, your body will become a hardened machine capable of extreme feats of strength that you never thought you could accomplish… but other areas of your life will also transform. Here’s why… If you want everything you can get out of life, you need to be strong. If you want long-term, healthy relationships you need to be strong for other people. If you want to achieve anything meaningful in life for yourself you need to be strong for YOU. If you have been getting your “strength training” information from some glossy bodybuilding magazine that has some oiled up, tanned guy in spandex “pumping” his muscles… then I’m sorry that’s not going to build real strength. Real strength training results are all about improving your function and capabilities. If you base your strength training on stereotypical bodybuilding dogma its like having a Ferrari with no motor inside… it’s all show and “no go”. Besides, how can you possibly learn strength training from people who don’t train for strength? Everyone and that means even you, posses the ability to get stronger than you are now. It’s a universal trait. In fact you probably don’t realize just how strong you can be. Inside you right now, laying dormant is the potential for bone crushing strength just waiting for the right opportunity to be unleashed. Strength training can be devastatingly simple… use the right program made up of the right exercises and you will get results. It’s that simple. The “mystery” is in knowing the right program and the right exercises to do. 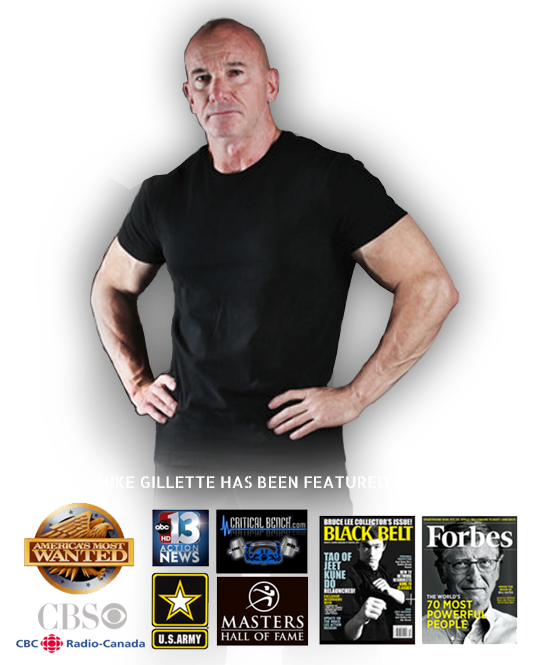 That’s why I’m super excited to have made the acquaintance of an extraordinary man named Mike Gillette who was a former SWAT Commander and Executive Bodyguard. 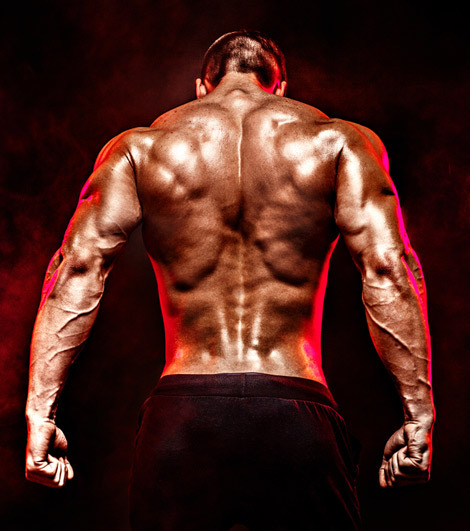 Savage Strength Training takes advantage of your body’s inbuilt movement patterns. This little known tactic utilizes the natural ways the body is supposed to move and when you train within these movement patterns you will build powerful bar-bending movement and force. The principle of movement patterns is combined with the ideal repetition speed and goal specific rest periods… two factors often overlooked but critically important if you want to have true strength. And at the heart of Savage Strength Training is load manipulation where Mike shows you how to overload your body, muscles, tendons and connective tissue to do things you never thought possible and create the type of strength you’ve only dreamed about. Best of all it’s about no-nonsense training that is easy to understand, safe to perform and delivers serious brute strength results for a long time. Here’s where Mike spills his guts and reveals his back story and mindset game plan that he uses to get results most men can only dream of-both in the gym and in life. One of the best parts of this training manual are the 8 Strength Secrets that Mike reveals in section 2. If you’re a strength geek like me and love to read about the theory behind the program you’ll enjoy this motivating No BS masterpiece. 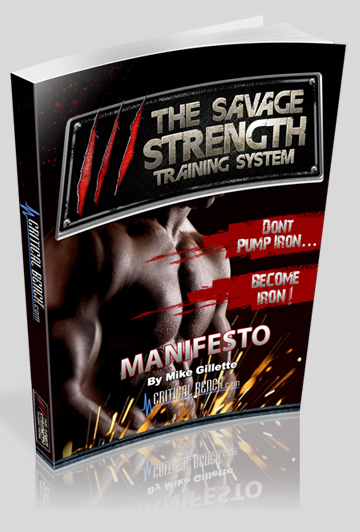 The Manifesto will empower you with the knowledge and ability to design your own Savage Strength based workouts. You also get all the printable workout sheets that you can bring with you to your workout. There are over 16-Weeks of Savage Strength Training Workouts in Phase 1. This first phase contains 5 different cycles that keep you progressing and improving week after week. In Phase 1 you’ll train 3x’s per week. In the Xtreme Advanced Phase II you’ll feel the power of the 4-day split-body program. These training logs are awesome for keeping track of your lifts and your progress as you watch your numbers sore off the charts! This component gives you the ability to design your own Savage Strength workouts by selecting an exercise from one of the 9 Primary Movement Patterns. In addition you can also swap out exercises from your training logs if you lack the equipment or have an injury. 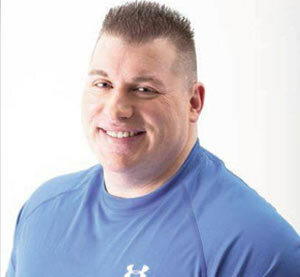 Mike Gillette demonstrates every single exercise inside a super convenient pdf that includes pictures, definitions and alternative gym exercises that you can refer to and be sure you’re doing everything right. With Mike as your coach walking you through over 40 exercises you’re safe-guarded against injury and guaranteed to get the maximum benefit out of every rep.
That’s a measly $19 for the ENTIRE Savage Strength Training System! You’ll learn how to posses the type of strength that can introduce stability into a situation. The type of strength that gives you the self confidence and power to resist stress and feel durable. To stare in the face of physical stress like discomfort, illness, fatigue or even emotional stress… and laugh as you know those things don’t affect you anymore. Real strength makes trouble go away and isn’t about “puffing your chest out” and acting cocky… it’s about projecting a capacity for effective action. I am talking about strength and all of the different ways it can improve your life. And believe me, I am talking to YOU. Because everyone, and I mean EVERYONE, can get stronger than they are right now. And even if you are already strong or you’ve been lifting weights a long time, Mike will still make you stronger than you are now… Much stronger. P.S. You’ve got nothing to lose and EVERYTHING to gain. Click Here to claim your savings. That means, if at any time, you find this program is not exactly what I promised… or is just not for you -- for any reason-- then I insist you write to the email address I'll provide you at checkout for a complete and immediate refund. That's how confident I am that together… you and I can unleash your true strength potential starting today! 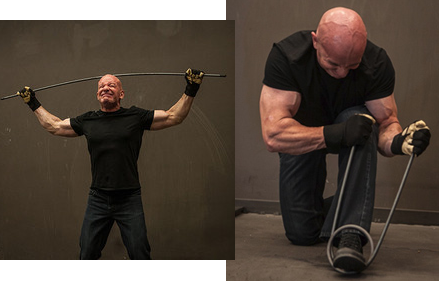 "Mike Gillette's Savage Strength Training System is absolutely mind blowing. The secrets shared inside will make any strength enthusiasts from complete beginner to even the most seasoned of lifters stronger. It's not often a new program comes across my desk and impresses me as much as Savage Strength. I give it my full endorsement. If you're serious about taking your potential to the edge, then I highly recommend you pick up a copy today." 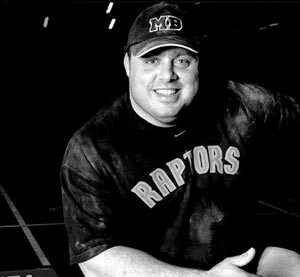 Former "All Time 308 Total World Record Powerlifter Holder"
"In addition to being one of the toughest guys on the planet, Mike is also one of the most knowledgeable when it comes to building strength. 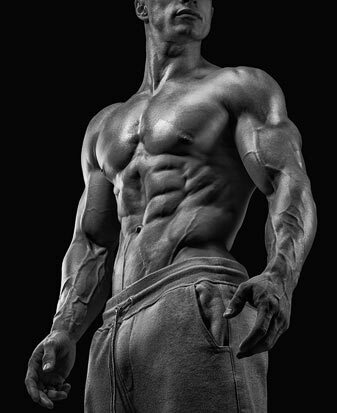 He is literally a walking encyclopedia of mental and physical training techniques." "Savage Strength is for REAL MEN! If you want a hard-core training program that will you as STRONG as you look - you'd be very wise to check this out. And the best part is you don't need to spend $120/month on fancy gym trainer. All you need is the desire to get stronger and the ability to train hard - if you have these two things, Savage Strength will help you get what you want... a body of STEEL and incredible STRENGTH." 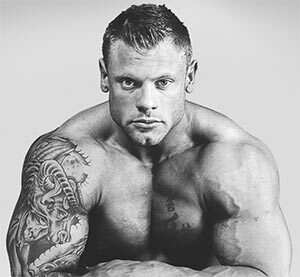 "Mike Gillette doesn't need anyone to convince you that his training principles and techniques work. He is his own proof. At 49, he is stronger than ever. I think that says it all." as seen on: Stan Lee's "Superhumans", Oprah, David Letterman, Discovery Channel, History Channel, NatGeo and in over 150 countries worldwide. 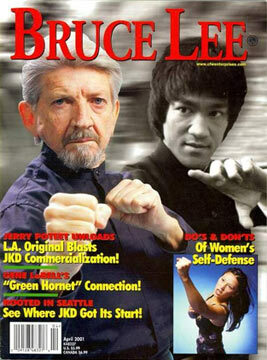 "Like my teacher Bruce Lee, Mike Gillette is an obsessive student of physical arts. His amazing results speak volumes about his knowledge and dedication." A: Nope, there are gym exercise options for every exercise. If you do have some odd object pieces of equipment you will get the chance to utilize them though if you’d like to. Q: Do I need a gym membership to do this program? A: You can do the Savage Strength Workouts at home with minimal equipment or at any commercial gym. A: If you follow the program as outlined and for any reason you’re not happy we’ll give you a full refund, no questions asked. We stand behind this product 110% and have no problem offering a money back guarantee. Q: I want to start training the Savage Strength way right now. Do I have to wait for the program to come in the mail? A: You don’t have to wait, you can have access in just a few moments. 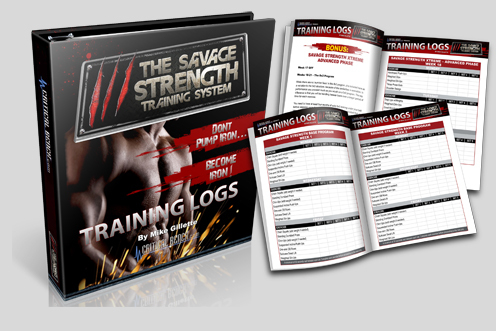 The Savage Strength Training System is a digital product so don’t worry about shipping fees or delaying results. 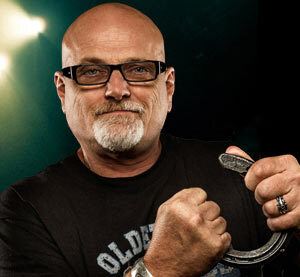 Q: I saw Mike doing some pretty extreme things in that YouTube Video, are feats of strength part of the program? A: No you will not be bending steel bars or rolling up a frying pan in your training. That’s just Mike’s real time validation that his training methods produce bone crushing strength. The routines found within this program are all functional, meaning they are designed to work and to allow your body to work better. But they’re not strange, exotic or overcomplicated. It’s not about that.